A compelling “about me” video could be all a potential customer needs to determine whether your product or service is right for them. In this 60-second video, I will demonstrate how to incorporate the key elements listed below. * How you do it. * What makes you different from others. * Call to action – add one mid-roll and at the end. The optimal length is 30-60 seconds. I recommend writing a script to organize your key points. Your finished product will serve as your elevator pitch as well. If you are clear others will be clear when they talk about your business, especially at networking events. The next time someone asks “what do you do?”, you will have a compelling response! The holiday season is upon us, and that means you are probably buying someone in your life a gift. If that particular person is a small business owner, I recommend getting them something practical. Small business owners wear many hats. We plan. Create. Post. Order. Sell. Design. Call. Email. Network. Provide customer support. And occasionally sleep. We don’t need more stuff. We need tools to help make our life easier. I compiled a list of some life-changing items that help me function more efficiently as a business owner. They all deliver tremendous value at a low price. Every business has a story. But do they know how to tell it so customers will listen? Most companies intuitively make their story about them, but Donald delivers an easy to digest approach to making it about your customers. Essential reading. I received this book as a gift last Christmas. It took me six months to pick it up (I was already reading two books at the time). If I had known how engaging and insightful it is before reading, I would have put down the other two books. Ann has a way of speaking to you through her writing that makes you feel like you’re buddies from college. She simplifies the process of writing, anything. 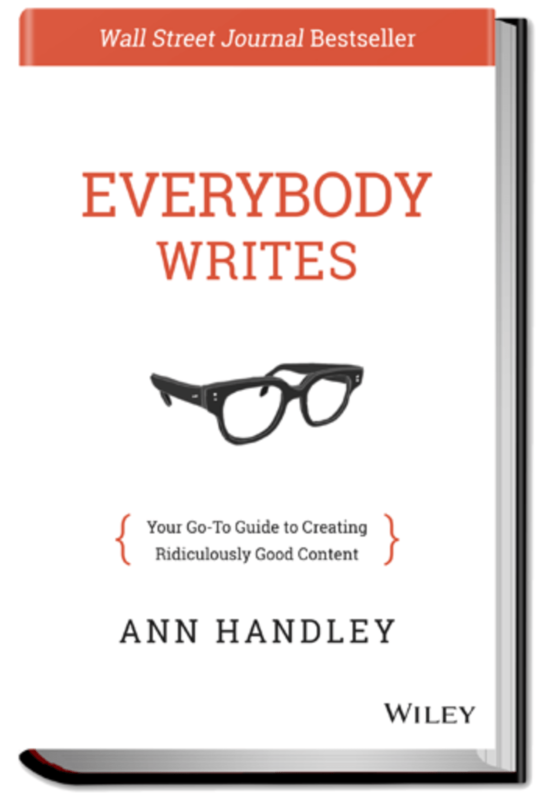 The chapters are short and packed with actionable items to take your content marketing from stagnant to stellar. Read it. Practice. Become ridiculously good at marketing. 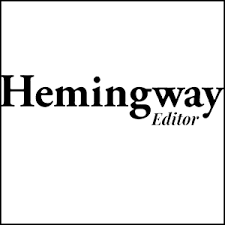 If you write anything online, the Hemingway app will be your new best friend. If you struggle with grammar, sentence structure, formatting, active and passive voice, or boring writing, You will love this editor! page creation tool. They offer a free two-week trial so that you can check it out yourself. There are no long-term contracts. What I love most about this tool is the ability to batch produce images or videos for sharing on social media. A mobile app is available, but I prefer the desktop version. The choice is yours. We live in a mobile-first world, and if you are recording videos for your business, you probably use your phone. 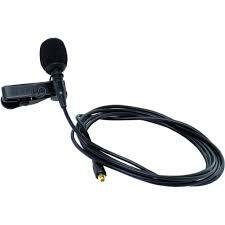 This lapel mic plugs into the microphone jack on your phone and makes your videos sound professional. If you have an iPhone 7 or newer, you’ll need an adapter for the headphone jack. I picked up this one up for $11.00 on Amazon. 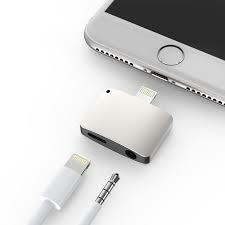 Your total investment for the mic and adapter is $23.00. 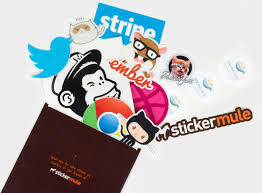 Sticker Mule creates high-quality products and their customer service rocks! Orders typically ship within four days, for free. You can order samples to see what your finished product looks like before placing a large order. Creative branding is everything and makes a lasting first impression. 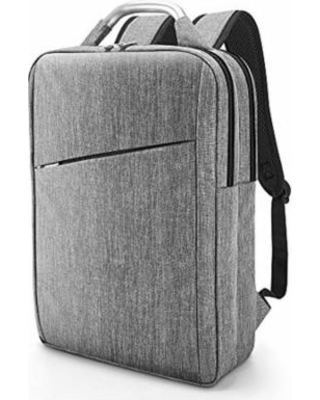 I recently discovered this backpack while searching for a for a better fitting bag for my laptop. If you are tired of having your work bag hanging to one side and pulling on your shoulders, here is your solution. This stylish bag hugs your body and has numerous sections and compartments. Did I mention it’s only $17.99? This book series will change your business approach. Every business owner should read it and heed the message. What’s the message? If we shift our focus from getting to giving, consistently add value, and focus on relationships, we will thrive as business owners. The story is powerful. The message is simple. You already possess the necessary tools. Now, Go Give. 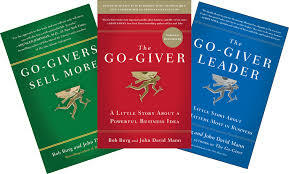 I recommend reading the Go-Giver first and then Go-Givers Sell More. Want more? Check out The Go-Giver Leader and Influencer (not pictured). If you could change the life of another person and help them succeed in business for under $30.00 wouldn’t that be the best gift ever? Need more ideas? Check out my 5 practical Gift Ideas from last year. We all have our favorites when it comes to business tools. I sure do. Some tangible and others spiritual. The way I see it, health is wealth and having a proper balance will ensure my approach to daily life and my business will be more intentional and proactive. Give the gift of practicality and experience. Below are my top 5 favorite items that I use every day. They are all under $20! 1) Arkon MG2TRIXL 11″ Smartphone Tripod – I love this tripod! Live and recorded video is the future of social media so get on board now. The base is flexible and can be wrapped around an object if a flat surface is not available. It comes with adaptors for medium to large digital cameras and a carrying case — all for only $18.95 (current sale price on Amazon). 2)“Presence” by Amy Cuddy – This book has helped transform the way I think and present myself. The cover says it all “bringing your boldest self to your biggest challenges.” We all experience self-doubt at one time or another. The quotes and nuggets of wisdom are endless in this book. You can help others help themselves for under $20.00. 3)“This Book Will Teach You How To Write Better” by Neville Medhora – The title says it all. Give the gift of simplicity. Neville’s approach (you WILL laugh) is one that everybody can comfortably relate to and incorporate into his or her marketing. He offers basic exercises that break down the process of crafting a compelling message. Simple. Effective. Buy it. Oh, it is only five bucks! 4) Wise Stamp – Our email signature is a business card for those that haven’t met us in person, make it memorable. Wise Stamp offers an array of templates and tools to make your signature interactive. All for $6.00 a month! If you could change the life of another person and help them succeed in business for under $20.00 wouldn’t that be the best gift ever? Facebook ads are some of the most targeted forms of advertising your money can buy online. But before you spend your hard- earned money, there are a few things you should know about social advertising and choosing the right objective. Almost every day someone asks me what the difference is between boosting a post and creating an ad through the Ads Manager. Some people don’t even know the Ads Manager exists. Below I will explain the difference. We will walk through the essential elements of an ad and the best practices to make yours remarkable. Every Facebook page admin or business owner should take a class on digital advertising before embarking on their first campaign. The Ads Manager is a sophisticated tool, and if you are new to using it, you can get lost very quickly. Having someone with experience guide you through it and the essential elements of an ad are well worth your time and money. Facebook makes it very easy for you to click buttons and spend money. I want you to have an informed approach, so you don’t waste yours! We’ll get to those essential elements in a minute. 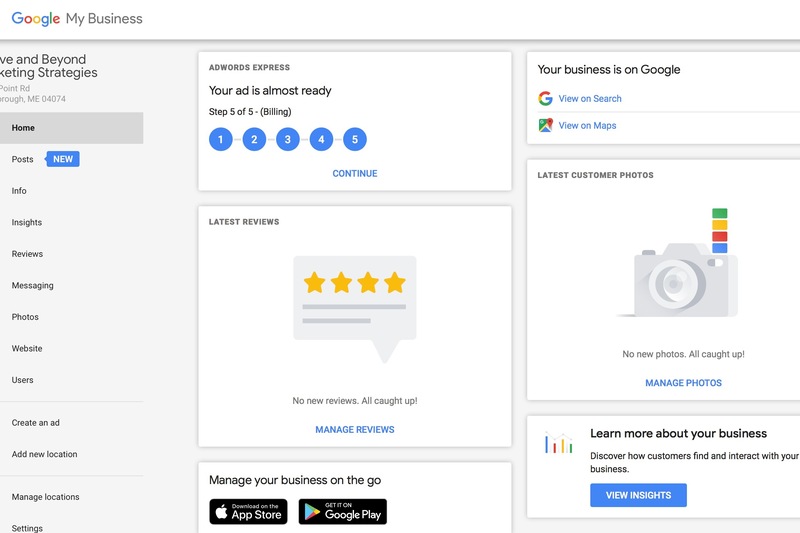 This tool requires more skill and patience but opens you up to a world of greater possibilities with targeting, ad creative, objectives, placement, and insights. If you are comfortable with technology and the creative side of advertising, this is your best option. You can access it by clicking the drop-down arrow in the upper right corner of your homepage. You will have to set up your account and add a credit card for future payment. Facebook will walk you through the process. You are creating a campaign and should be clear who your target audience is and where they are in the buying process to choose the right objective. This process requires research and will help you make better decisions down the road. 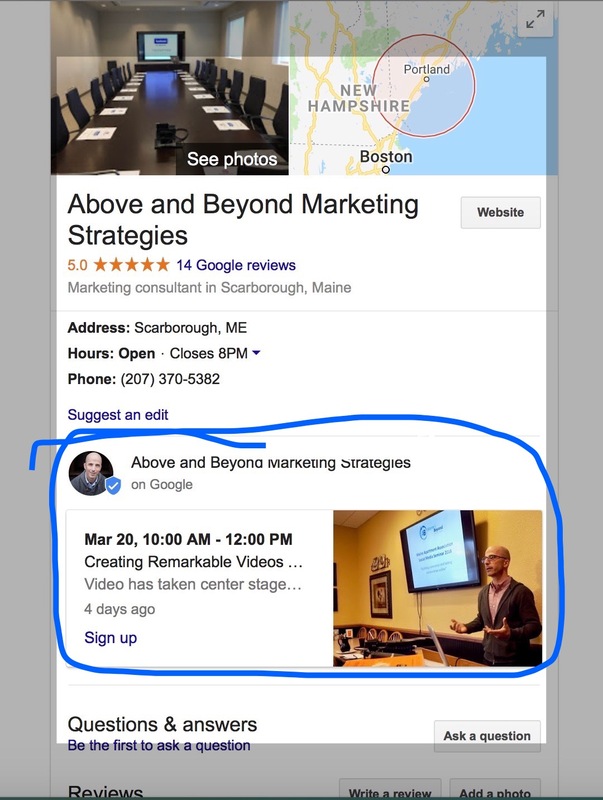 Your ad account is connected to your business page so you will have the option to promote page posts here as well. Boosts are best for getting more eyeballs on your posts from people who already like/follow your page or a lookalike audience (similar people to the ones who currently like your page). Your current followers have a direct interest in what you do because they chose to support you. Pay particular attention to them before promoting your posts to their friends, who may not care about your business. If you don’t have the patience for creating ads and want the easiest solution, this is your best option. The boost tools have improved over the past year. Experiment with different audiences to drive familiar and new traffic to your page. Best Practice: You should only boost your best performing, informative content. Offers and sales are ok from time to time. When you create a new post, let Facebook distribute it for 24-48 hours to see what kind of engagement it receives. If it performs well, you know you have something interesting. Social advertising is a campaign for trust and adding credibility to your business. Most people use social media to be social not to make purchases. Don’t expect customer conversions instantly. Especially with people who don’t know you or your business. Create a campaign that educates and inspires your audience before hitting them with an offer. 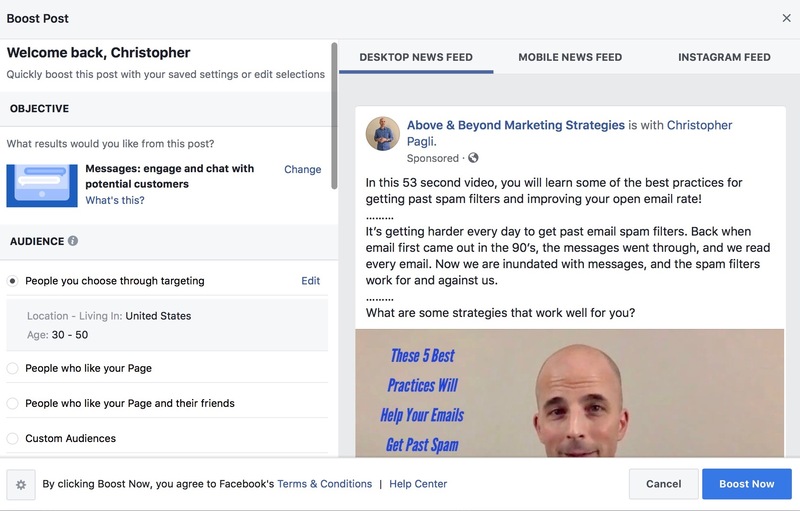 There is more to successful advertising than choosing a post you think is fantastic, targeting people you feel will be interested in and throwing a bunch of money at it. Yes, you can boost a post for as little as $5.00 but how far do you think that will take you? You don’t need to spend a fortune but come up with a realistic monthly budget. Facebook is providing with you a direct road to your ideal customer based on their specific interests, job titles, and behaviors. What’s that worth to you? Determine your goal. Do you want to drive traffic to your website or build brand awareness? Identify your target audience. What is their age? Interest and behaviors? Location? Needs and wants? Create 5-10 audience segments. what you advertise to someone int he awareness stage is different then those who are ready to buy. Set a budget. – The more you spend the further your ads will go. Choose relevant, thumb stopping visuals or content. What will resonate with your audience the most? Be patient, open-minded, consistent, and experiment. There is a lesson to be learned in successful and unsuccessful ads. If they don’t work, you did something wrong. A catchy headline – research from Campaign tells us that 8 out of 10 people will read the headline, but only two will read the copy. Sell, don’t tell what’s in the ad. Choose eye-catching, relevant visuals that will stop them in their tracks (or their thumb). Writing persuasive ad copy that addresses your audience’s needs and speaks directly to them. You must plant seeds of curiosity and create a slippery slope. There are many books you can read about persuasive writing. 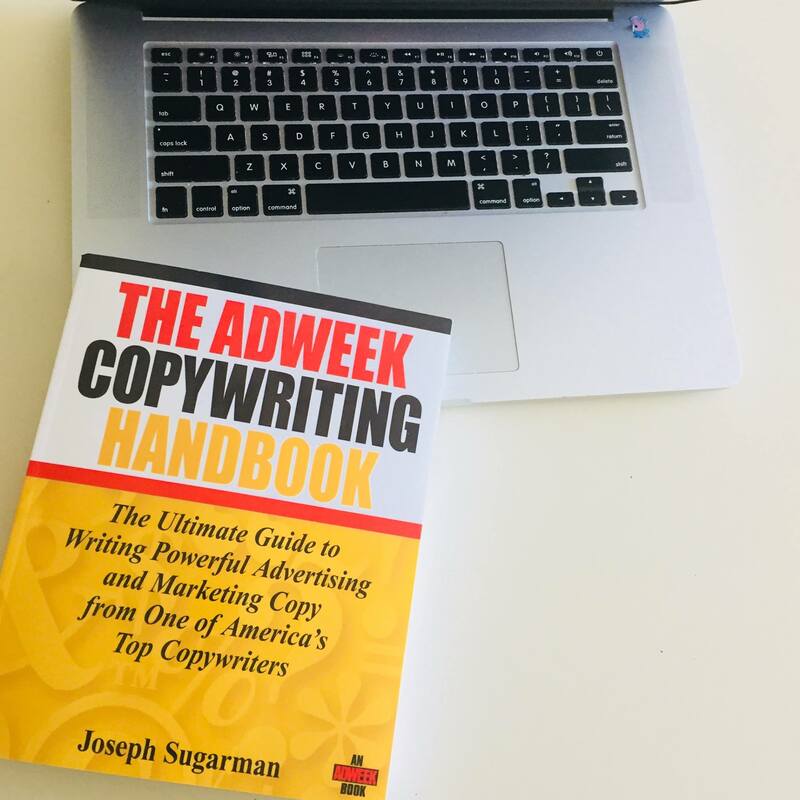 One of my favorites is the Adweek Copywriting Handbook by the legendary Joseph Sugarman, and Everybody Writes by Ann Handley. Adding a clear call-to-action to your ad. What action do you want the viewer to take and how? If you are creating ads on social media platforms your call to action should direct customers to your website or landing page with an email sign-up page. Choosing the right audience – this is the one thing people get wrong more often than not. Sometimes the most obvious option is too broad. Facebook lets you narrow down or excludes people to create a hyper-focused audience. Create a custom audience by uploading your email list or installing the Facebook Conversion Pixel on your website. Here’s how to create and install it. “Your relevance score estimates how well your ad is resonating with the people you want to reach. The higher your ad’s relevance score, the better it’s considered to be performing.”. A lower score, 1-3 means your ad is deemed irrelevant to your audience and will impact the cost and deliverability of your ads. To learn more, visit the Facebook help section. People who have voluntarily given you their email address and visited your website are your most valuable audience. Best Practice: A/B split test your ads. Split tests are the process of creating two different versions of the same ad. You will create two different headlines, visuals, and ad copy to see which performs better. Facebook will distribute your budget between the two ads and report back with the results. As a small business owner, you have a lot of choices to make. You have to create, sell, market, provide customer service, and advertising. If you choose to take these roles on and not outsource them, you should understand what goes into each task. You have enough information here to get started. Don’t be afraid to step outside your comfort zone and experiment. Experimentation is the only constant in marketing and advertising. The education you will gain is invaluable. Every new licensee or salesperson has the opportunity to do things right from the beginning. Any opportunity to learn is never a waste of time. If you make it your business to know everything you can about your business, you will be successful. Get a mentor whom you can shadow for a few months. What we learn in real estate school will quickly be forgotten if we do not practice it. Attend showings, listing appointments, appraisals, open-houses, home inspections, and closings with your mentor. I have learned so much at home inspections and sitting at a closing table! Get a good contact management system and website you can control. Create a database of your sphere-of-influence. In the beginning, these people will be friends, family, neighbors, and other people you have a close relationship with the community. As your business grows so will your database. You will eventually have past and present clients to add. Lock yourself in a room and think about how you want the public to perceive you. How do you want to position yourself in the community? Find your niche. Think about your strengths and what you have to offer a potential buyer and seller. When you create your website, and social profiles make sure your branding reflects what you want to be known for and speaks to your niche. Go beyond the generic “I can help buyers and sellers achieve their home buying or selling dreams” everybody says that and it will not help you stand apart from the crowd. Your skills and personality will. Work in the office every day. People who show up regularly succeed. Have complete confidence in your ability from the start. When we graduate real estate school, we are considered experts. Just because you are new doesn’t mean you have to act like it. Attend open houses and agent caravans to learn the market and meet your peers. Ask other agents in the office if you can sit their open-homes. You could land a buyer and have a valuable learning experience at the same time. Approach potential clients with a “how can I help” rather than “what can I get from you” attitude. When the market is busy work hard. When the market is slow, work harder. Many of these suggestions are universal; they apply to a wide variety of positions. I wish you much success in your career! 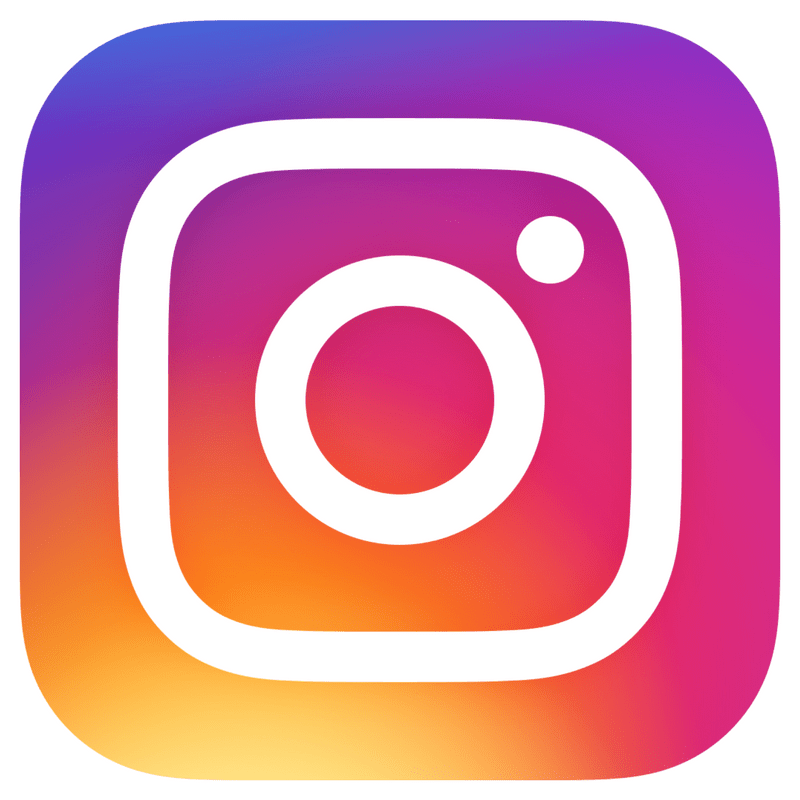 Building a significant following on Instagram takes time and work. If you use it for business, you are going to have to commit to a strategy to build trust with your audience. Just like Facebook and all the other social platforms, we are in the attention business. Once we get our target audiences attention, we have to keep it. Gaining followers is the easy part. Attracting the RIGHT ones and keeping them takes work. There are followers, and there are the RIGHT followers. You want the latter. The following tips are proven to work, but you have to be consistent. Don’t give up! 1. Create a compelling bio that depicts who you are as a person or business. Complete every detail and be creative. How do you want to be remembered? 2. Think about how you want your feed to look and how your audience will feel when they view it. Your photos and videos should tell a story and be visually appealing. Instagram users will decide in seconds if they want to follow you or not. 3. Post quality images or video consistently. You will have to find your sweet spot. Some people recommend 1-3 times daily or 5 times per week. Only you know your audience, and they will let you how you are doing by their actions. 4. Follow people your product or service can help, related to your field and whom you have a genuine interest. I recommend 5–10 per day. 5. Follow hashtags. This is a newer feature that many people do not even know about or use yet. You will see content from these tags in your feed and can meet people you might have interest in following. 6. Research hashtags carefully. The most popular ones tend to attract bots and your competitors. Make a list of tags that are relevant to your business and think about tags YOUR audience might search for. Use a variety of niche, industry, community, and branded tags. 7. Send direct messages to people. If someone follows you, message them and say thanks. Look at their profile for commonalities. Ask questions. Show interest. Not everyone will respond, but we do not know unless we try. 8. Use the Stories feature. Stories have grown tremendously in users and capabilities over the past year. They are a great way to gain additional exposure and allow people to experience you differently. Be careful not to over do it. If your stories aren’t entertaining you won’t get repeat viewers. Posting cool stories less often will probably get your more views. 9. Add thoughtful or helpful comments on posts from users you follow and others you find on the platform. I cannot tell you how many of my relationships began in the comments. Keep the conversation going! 10. Tag people when relevant. Add geotags to your posts. 11. Pay attention to your insights. This information will help shape your future decisions. Experiment with the above suggestions. You have to be comfortable with whatever strategy you choose. What works for some may not work for others. I feel it is more important to have meaningful connections rather than tons of people I do not engage. By growing your following organically, you will have users that choose to follow. That shows interest. The process may take more time but well worth it in the end. The takeaway: Be active. Be consistent. Be Human. 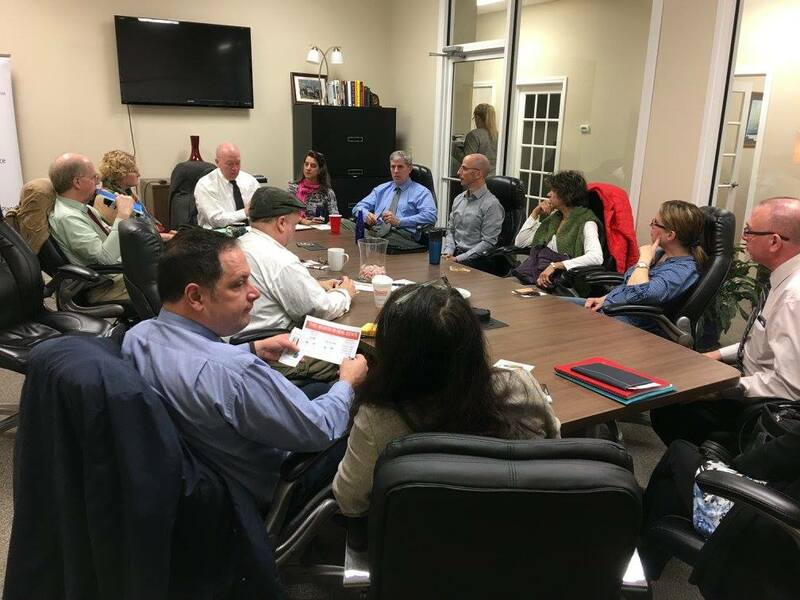 Have you ever wavered on going to a networking event and left feeling glad you did because it was incredibly productive? I have. I know how hard it can be to walk into a room full of people you do not know and introduce yourself. My top six personal tips will help you make the most of your networking experience. 1) Have a plan before you go. – whom do you want to meet? Make a list of five targets and reach out before the event, so the face-to-face introduction is a little warmer. Most events have Facebook or LinkedIn groups so you can see the guest list beforehand. Join these groups and add value, videos are a great idea. 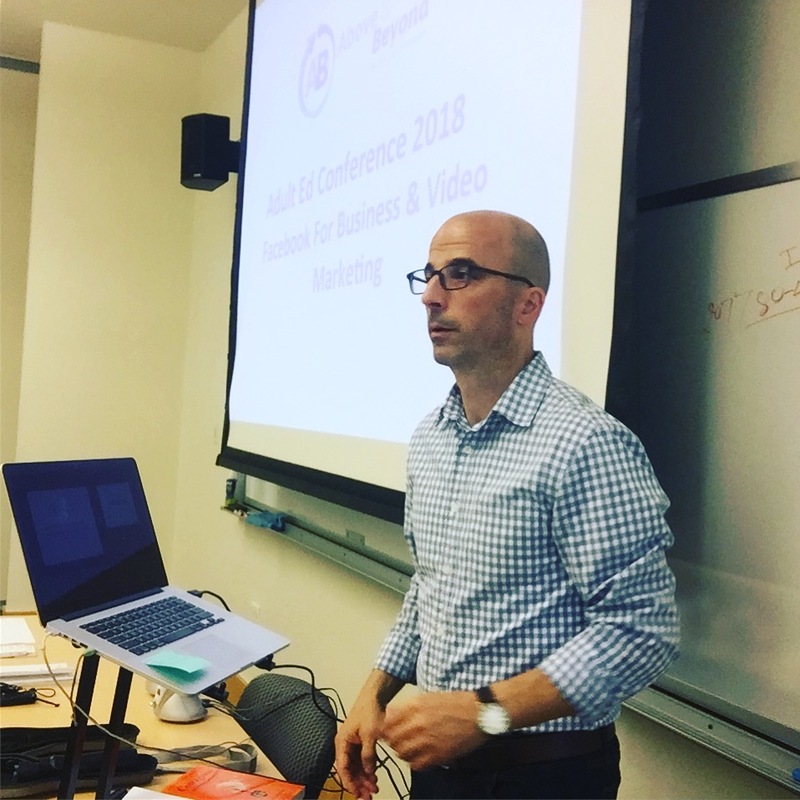 If your content is excellent and makes an impact, you may be approached by some people at the event.You are setting the stage and will feel more comfortable entering the room knowing you have a plan in place. How do I start a conversation with someone I have not met? Look them in the eye, shake their hand and introduce yourself. You are at a networking event; we expect it. 2) Arrive early, get acclimated, and dive right in. I have found this is an excellent way to stay grounded, break the ice, and greet others as they arrive. It is easier to have conversations with fewer distractions in the room. Have you ever had a conversation with someone and noticed they are listening to you with the side of their head and their eyes are roaming the room to see who is there? Not a great way to show you care. If you cannot arrive early, survey the room; see who is there. Look for the popular people. These are people who can’t walk two feet without being stopped or have a large crowd around them. Make it a point to find out who these people are and meet them. Chances are you will engage with other people in the immediate area. Find your targets. They will introduce you to others in the immediate vicinity, and the conversations flow from there. 3) Make a statement. – Are you an average Joe? What will you do to make a statement once you enter the room? I am not only talking about how we look but our confidence level. Why do you think fashion models wear their clothes so well? Confidence. It makes the outfit. Everything we do or don’t do sends a message. Every interaction is a potential job interview. Have a firm handshake and look the other person in the eye as you shake. DON’T skimp on your business card! Make sure it is high quality and depicts who you are and what you have to offer. I know business cards can be costly, but it is an extension of you and their takeaway! Check out www.Moo.com. Look at others business card before stuffing it into your pocket; this is a sign of respect. Make notes about your conversation on the back of the card or your phone. Be a good listener and ask open-ended questions that give you more information about the person. Celeste Headlee said it beautifully in her TED Talk “You do not have to show someone you are listening if you are listening. If you present yourself as an expert, the best, or a professional, everything else needs to match your words. Unfortunately, people judge. We want every aspect of how we present ourselves to align. 4) Keep it moving – acknowledge your friends and existing connections, they may introduce to people you do not know, but don’t hang out talking to them the entire time. You are there to make new connections and nurture existing ones. I have a goal of meeting at least 5-10 new people at each event. The more I do this, the easier it gets. 5) Know how to talk about your business – Your elevator pitch should be clear, concise, and give the listener a compelling reason to take action or learn more. I always end with what makes me different. People want to know why they should refer or do business with you, especially in a room where there are many others in the same industry. I highly recommend spending $5 on a copy of “This Book Will Teach Your How To Write Better” By Neville Medhora. In just 50 pages you will know how to write copy that sells and talk about your business in the least amount of words. People tend to remember the first and last thing you said. Avoid industry jargon that most people will not understand. 6) Send a follow-up email right after the event. It shows interest and will help you stand out. Too many people do not do this. We need to stay fresh in others minds. If you took notes about while speaking with them, reference something in your follow-up email. We meet many people at these events and what we choose to do will make or break our experience. Please share your tips in the comments below. I look forward to hearing them! Every business needs tools to be successful. I seek out the best affordable tools, try them and make recommendations for the ones that have significantly improved my productivity. My core mission is to help you save time, money and become a better marketer. The following list will do that. This year, many of them are online which probably won’t surprise you either. 1) Wisestamp – An email signature template service offering many templates and apps for creating an impactful, interactive signature. It’s easy to use, affordable and lets your recipients know you care. Your email signature is your business card for those who have not met you yet. Be memorable. Cost: A one-year PRO subscription will cost you $72.00. Other plans are available. 2) The Adweek Copywriting Book by Joseph Sugarman – This book completely changed how I look at writing anything. It not only applies to advertising but anything you write in hopes of persuading another human being to take action. Joe makes writing fun, and his approach is easy to digest and apply to your business. I forgot to mention, he has sold millions and millions and millions and millions of products. 3) Grammarly – For those who have challenges with grammar, this app will quickly become your best friend. The G icon appears at the bottom right corner of your screen once you begin writing and will make suggestions if needed. The mobile IOS version is a keyboard and easily integrates with your apps and browser. You can toggle between this keyboard and your default one with the click of a button. The one downside is it doesn’t work for Google Docs, but you can check your work by copying and pasting it into the online editor. An extension is available for Google Chrome and add-in for Microsoft Word and Outlook. 4) Adobe Spark – A content creation app accessible via desktop or mobile. Whether you are creating images with text overlays, videos, or web pages, Spark has you covered. I am more of a desktop user, but the app is pretty awesome and very easy to use. Your choice. Cost: $9.99 per month or $99.00 for a full year paid in advance. 5) Zhiyun Smooth Q Handheld Video Stabilizer For SmartPhone – This little gem is a game changer for anyone shooting video on the go. No more shaky camera and unprofessional video tours. I was lucky enough to purchase mine for $99 on Black Friday and noticed they are selling for $140 now. I had to include it on the list. Compared to some of the higher priced Gimbals this one is a solid affordable option. Cost: $99-140. Keep an eye on Amazon for the discounted price. I am not surprised by this number because direct mail campaigns are part of my marketing strategy. These days, we must diversify our marketing efforts. The online world is noisy and cluttered. Physical mailboxes are less crowded thus making it a great option. The attention span of an online consumer is sad, four-eight seconds! While 30 billion pieces a month are fighting for attention on Facebook each month, your re-purposed content could be in transit to a prospective customer’s mailbox. What type of mail would interest them? Will your call to action get them to act? How do you want them to feel when they hold your mail? Direct mail may not be for everybody; your type of business and margins will help decide this. If you have high margins, then you can probably afford to commit to a long-term plan. Your audience needs to see your face and message continually. If your sales margins are low plan your budget carefully or you could risk wasting a lot of time and money. Like advertising, we are campaigning for trust. This process takes time. Can you get business from one mailing? Absolutely! I have done it. By thinking about every little detail and sending something that resonates on a deep level, you can get immediate responses. One word of advice though, don’t expect it. Consider this success a bonus and keep moving forward with your campaign. Expectations can get us into trouble. Start with your sphere-of-influence – By now you should have a database dedicated to past and present clients or any other people that have an interest in what you do and can send referrals your way. Build from there. Choose a farm area and own it – remember, building trust and brand awareness will take some time. Send something of value – Always. Think about how you feel when you receive valuable information, that is how your audience should react. Send an offer with a DEADLINE so that customers can act sooner than later or maybe never! Stand out – Choose colors that align with your branding and odd shaped fliers, postcards, or envelopes. You can also send actual “stuff,” can’t do that online! Personalize everything you send – Hand write cards, notes, envelopes (if you are able). Show you care rather than making it seem like you do. Add a call to action – What do you want them to do? How? When? People that haven’t met you yet are most likely going to research you online before making a call. Your landing page should reduce barriers to the final decision and convert the viewer. Make sure it has testimonials from past clients! Be consistent – If you are sending something to your sphere-of-influence, consider touching them monthly. You will have to find the sweet spot for other audiences through experimentation. At least six times per year is a good start. Most people have a throwaway and keep pile before they even get inside the house. Which pile will you be in? Believe it or not, you CAN control this to some extent. Just think, you could make it inside someone’s home and hang around for a while if you give them a reason to keep you around. Tracking conversions from direct mail campaigns aren’t as easy as online, so you will need to add a code or some way to track your progress. Make it a habit of asking your customers how they found you. This information will help you understand what works and what doesn’t. 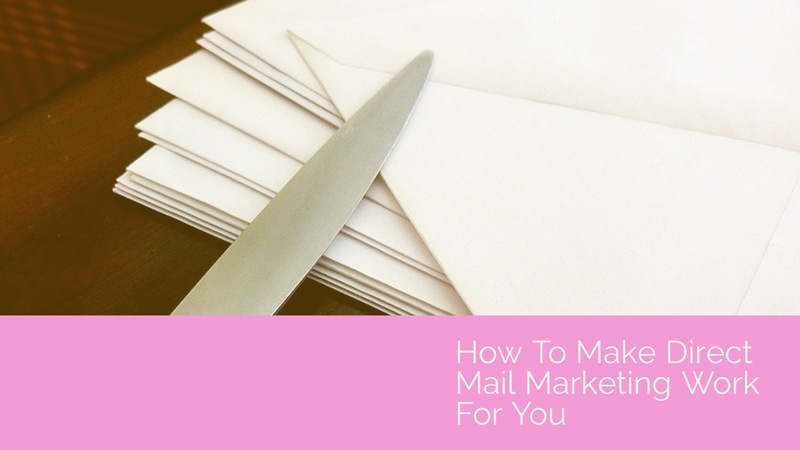 Direct mail might be a good option for you. Like most forms of marketing, we have to experiment. The more we do, the better we become. The struggle for consumer attention is real, and we have to go above and beyond to get it and also keep it.